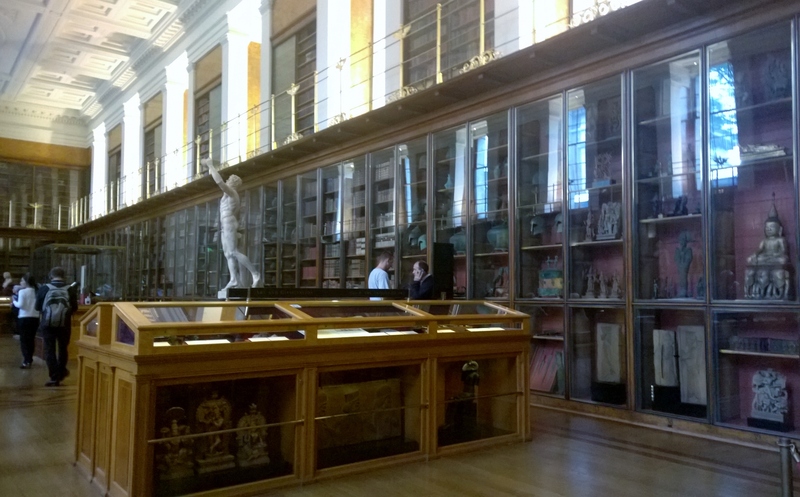 On Monday 13th July I attended a great workshop at the British Museum on Using Museum Archives (post to follow). It was an overcast, very humid day and I felt hot and flustered after my journey. The noise and heat in the central court was overwhelming so, with some time to spare, I tried to find a small oasis of calm. 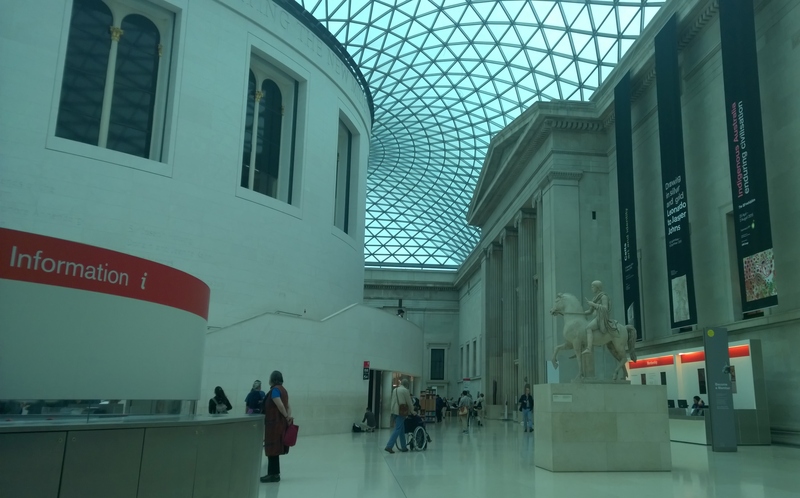 I wasn’t successful – and with 6.7 million visitors during 2013 it is hardly surprising that, for me, the British Museum has never been a space for quiet contemplation. The central court with its biosphere-like dome is, of course, spectacular and the museum is unrecognisable from my student days when I worked as a weekend gallery attendant in the Parthenon and Egyptian Galleries. I spent many long, long Saturdays standing unseen in my uniform, buffeted into a hypnotic state by tides of crushing people, praying for the end of the day and the last visitor to leave. Only then, with the lights dimmed and the doors locked, could I stand totally alone for a few brief minutes, absorb the profound silence and feel truly overwhelmed in the presence of these mighty time travellers. Too soon the bell was rung indicating that I should join the queue of exhausted gallery attendants and, reminiscent of a scene from Fritz Lang’s Metropolis, trudge back through the dark museum to the locker rooms. I worked at the British Museum just prior to the redevelopment, and areas of the museum such as the King’s Library were great dusty, unexplained and empty voids used as walk-throughs for streams of confused visitors who paused to photograph the empty bookcases. 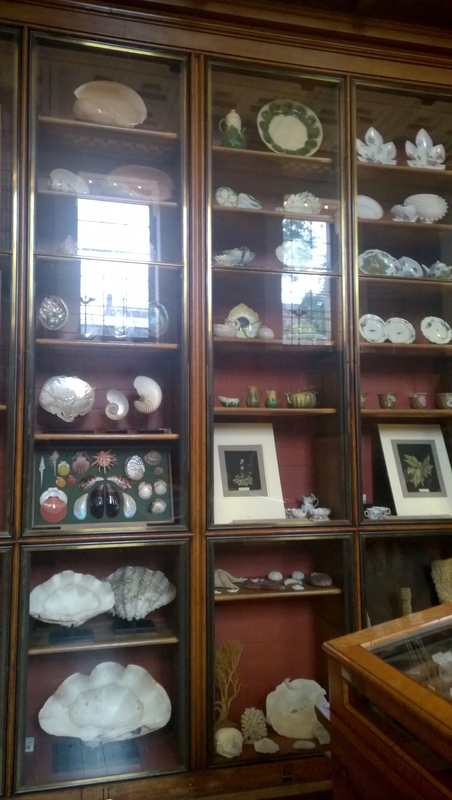 In an attempt to make use of a heavily listed space the library has since been transformed into The Enlightenment Gallery, and bookshelves have become floor to ceiling cabinets of curiosities. It is a space that I feel still creates confusion and, as with the National Trust (where many visitors to the houses are convinced they are walking into a faithfully preserved space where the family have literally just left things as they were) this is also a space not entirely transparent in its intentions. The intentions, I imagine, may have been pretty basic – how to make use of acres of shallow, floor to ceiling bookshelves. The end result, however, is something that looks to the visitor as if it has always been there – an untouched throwback to the 18th century. 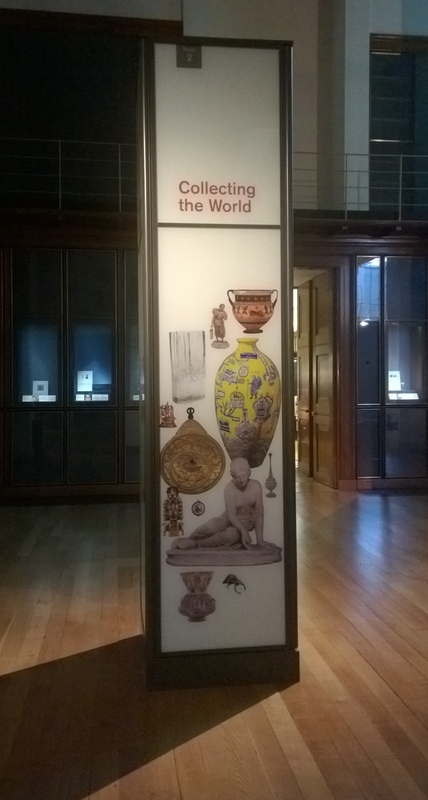 And questions around intentions and labelling must be huge for the British Museum. After the workshop, I revisited my student haunts of the heaving galleries of Ancient Egypt, Greece and Rome. The sheer size, magnificence and quantity of exhibits still takes my breath away; but even more so, the sheer audacity that the educated upper classes were removing on an industrial scale entire structures such as the Nereid Monument (described as the largest and finest Lykian tomb from Xanthos in Turkey and dating from 390 to 380 AD); or part of the colossal statue of King Rameses II which had flanked the entrance to the king’s mortuary temple in Egyptian Western Thebes; or the monumental sculptures from the palace of Tiglath-Pileser III at Nimrud (near Mosul in Iraq). As such, these spaces continue to fill me with a niggling discomfort and disquiet. 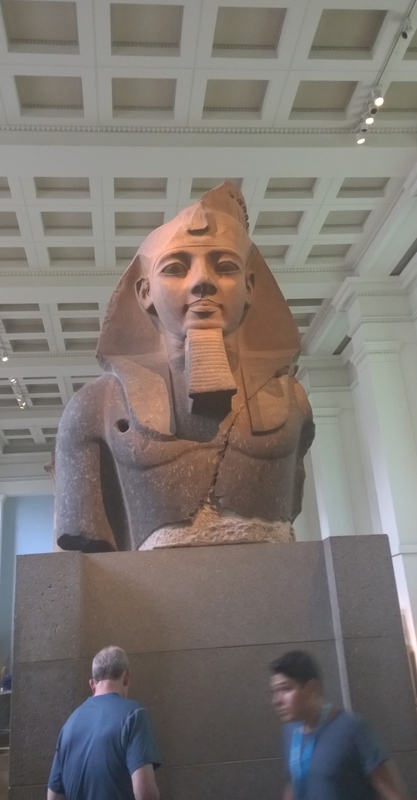 Questions around the ethics of 18th and 19th century collecting of antiquities – and the very questionability of the worlds of antiquities and antiquarians – are not unique to the British Museum. And, as with any controversy or unresolved dispute, there is no black or white. For every noble story of altruistic acts in saving these artefacts from undoubted destruction – stories necessary to justify their collection and purchase to the British Museum’s board of trustees – it’s possible to find other stories (often overlooked by the British Museum) of bullying, self-motivation, corruption, bribery and greed (after all we’re talking about the British Empire) and waters were further muddied by the fact that countries were often complicit in selling off their own antiquities to dealers and archaeologists. I imagine most would agree that these huge, temple-like Victorian museums were all about celebrating and cementing The Empire and establishing Britain at the centre of a web of culture and heritage, in the same way that the Great Exhibition of 1851 placed Britain at the centre of trade. 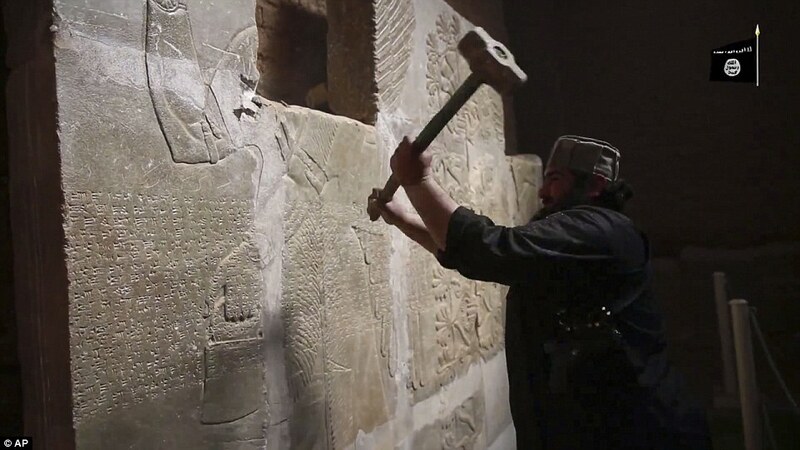 I also acknowledge there is some truth, however mealy-mouthed it sounds, that many of these antiquities would have been lost if they hadn’t been “saved by the British” and this is an argument now tragically validated with the release of ISIL’s video this April documenting the destruction of the ancient city of Nimrud – what the British Museum left behind. 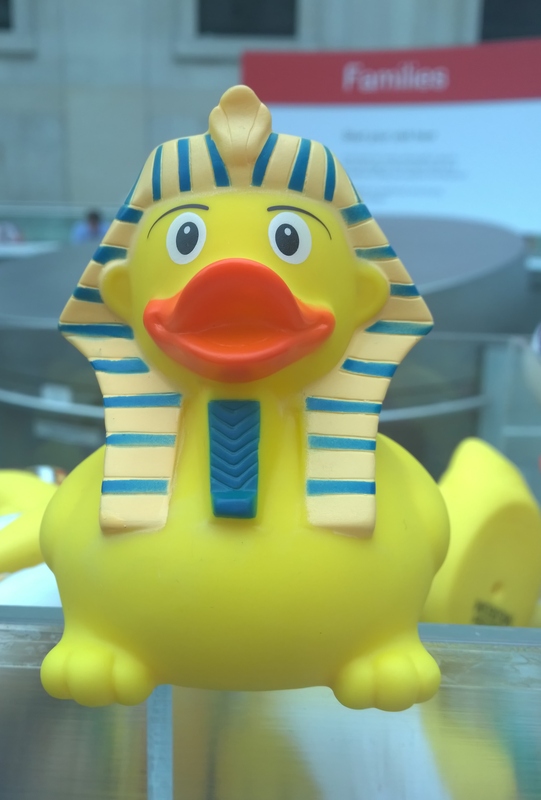 As with endangered species, maybe the British Museum could be viewed as a sort of cultural reserve – keeping artefacts safe from extinction. The problem with this analogy is that the ultimate aim of most nature reserves is to return the animals to their natural habitats and more recently the museum is keen to show it is taking on this role. 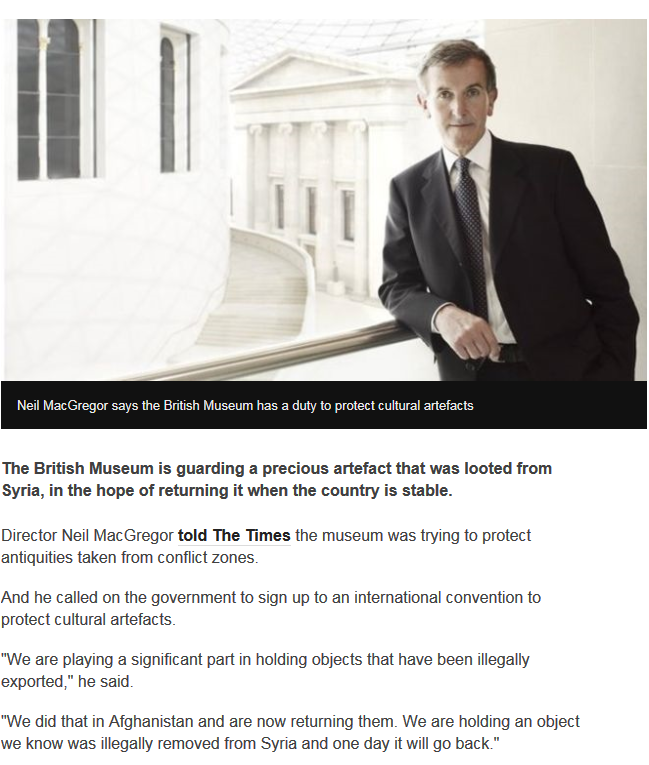 On the BBC’s News website is an article beginning: “The British Museum is guarding a precious artefact that was looted from Syria, in the hope of returning it when the country is stable”. It also seems to be taking steps to recognise the legacies of its past collecting. 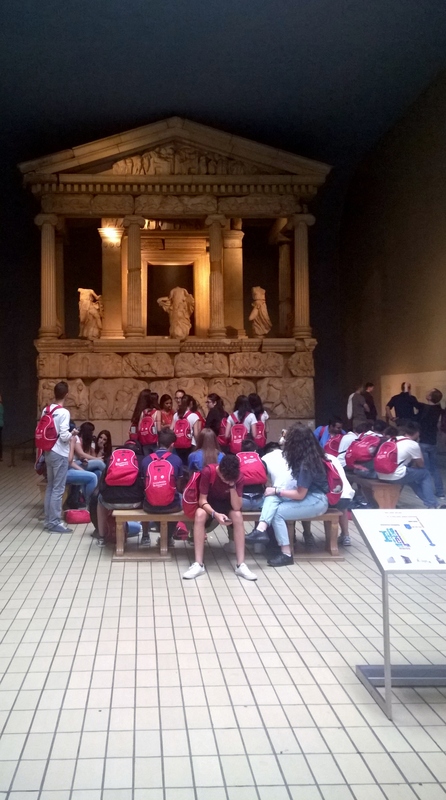 Since I stood in the Parthenon Gallery dreading questions from cynical Greek tourists, there is now a little stand: “Why are the Parthenon Sculptures always in the news? …. Take a leaflet to find out more” – except frustratingly there are no leaflets to take. The museum now examines collecting and collectors in its new gallery: Collecting the World – a difficult subject in another difficult space next to the King’s Library and also lined with the same listed, floor to ceiling bookcases. Here I imagine one of their intentions is to soften a controversial subject by transforming collectors into people with names, faces and personalities. In the central at the axis of the gallery sits a huge, yellow Grayson Perry pot and, of course, a beloved Grayson Perry (almost a national treasure in his own right) will always make a bitter pill more palatable. And why not – I love a Grayson Perry pot as well. In terms of “collecting” the pot, I’m sure the acquisition process was most civilised and mutually beneficial. The British Museum literally has a monumental legacy to address and I wouldn’t, for all the tea in China, want to be the person at the helm. It makes me realise why I hold so much respect for small, local history museums which are rarely about aggressive collecting, but about passive acquisition through donations by local people. They are the essence of localism – the artefacts stay close to home preserving the social glue of the community. 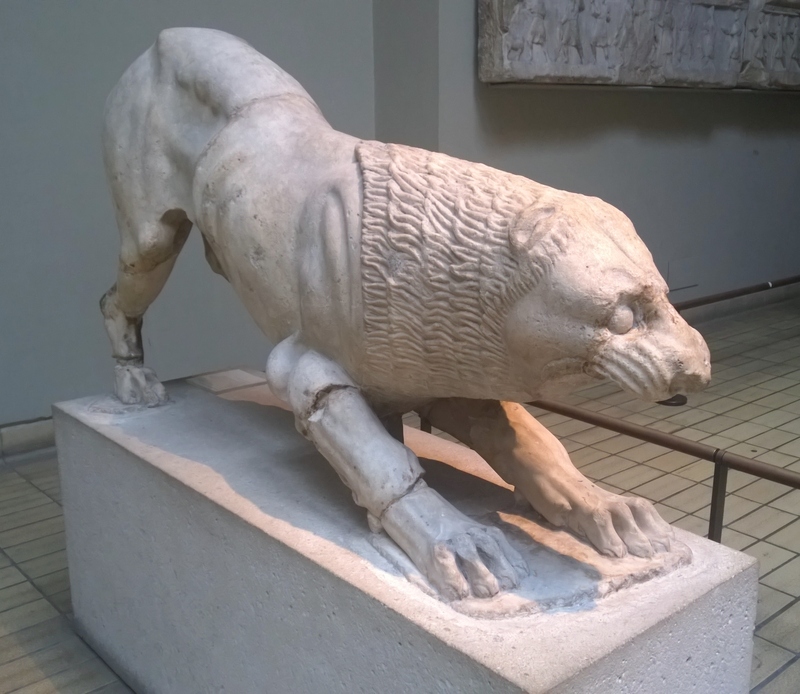 So – finally, below are my pick of pics from my brief visit – a poodle of a marble lion in the Nereid monument gallery (museum number: 1848,1020.140), and a scene from the Parthenon frieze depicting bulls being dragged to sacrifice. 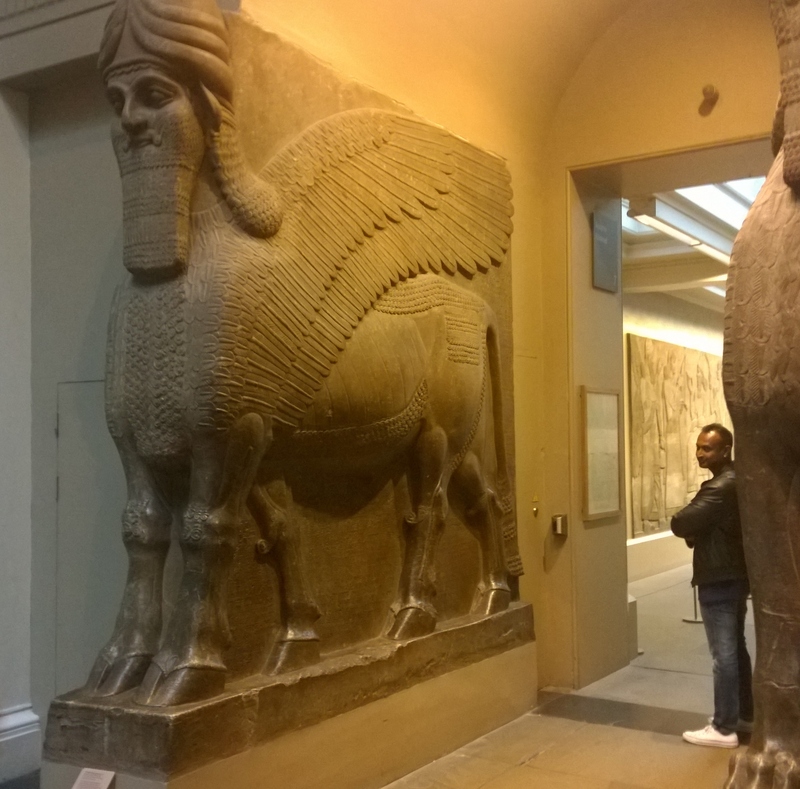 Although, for me, the British Museum is like trying to learn in the departure lounge of an international airport, these snaps illustrate that it is a fantastic spectacle.